Seville is a popular destination for Spanish tourists. After all, it is not only the capital of the Autonomous Region of Andalusia. The fourth-largest city in Spain also serves as a metropolis for the province of Seville with the same name. By the way, it is said to have been Heracles who founded Seville. The Greek hero was one of the strongest men of his time and gave the metropolis a legend. Today Seville has about 700,000 inhabitants. If you want to explore Seville and its surroundings by rental car, you are spoilt for choice among the many beautiful destinations that are worth a visit. There are plenty of car rental companies and offers that we compare for you to help you find your best deal. Travelers can reach Seville by plane. Almost all European airlines have offers up for this great destination. Therefore, it is ideal to book the rental car easy and relaxed from home and then pick it up at Seville Airport. The city center of Seville is not far away by car. With normal traffic conditions, it does not take more than fifteen minutes to get into the city. Drive straight along the Autovia del Sul in the direction of Cordoba. On this very first trip after booking the rental car, you can already get an impressive impression of the climate and location of the Andalusian capital. Visitors who rent a car to visit Spain and travel through Andalusia will not miss out on a typical landscape. Gorgeous hideout is the Parque Nacional Coto de Donana, which is definitly worth a visit. It is the largest national park in Spain and can be reached by car from Seville within an hour. For those who are not familiar with the town of Huelva, follow the A 49 motorway. If you follow the signs, you cannot miss the National Park. For a drive through the park it is worthwhile to bring a blanket and a nice picnic. Also bring equipment for bathing and snorkeling, if you have some, as there is Matalascanas, a huge beach in the park. This beach is perfect for a rest to restore. Apart from that, the park impresses with its rich flora and fauna and many other attractions for a nice day. There are lynxes, wild horses and flamingos. For a visit to the Parque Nacional Coto de Donana it is best to rent a car. TIP: If you want to visit the park, please book a week in advance! The first thing most visitors notice is the colorful life on the streets. This little hustle and bustle creates a very typical Spanish atmosphere. Restaurants, cafés and bars entice along the road and invite you to stop and linger. If you want to get to know the Andalusian capital, take your rental car for some nice rounds through the streets and alleys. The architecture of the metropolis is extraordinary simply because the silhouette of the city is hardly dominated by tall buildings. An exception is the Giralda Tower, the metropolis' landmark. It belongs to the Cathedral of Seville, Santa Maria de la Sede. The church is one of the world's largest sacred buildings and impresses visitors from all over the world with its eventful history. The Arabs first built the minaret here between 1184 and about 1198, and it reaches up to a height of 76 meters. The bell tower was added by the Christians in 1586. The building was completed by a huge statue. It symbolizes peace and acts as a weather vane (Giralda). By the way, Seville has one of the largest contiguous old towns, not only in Spain, but overall the entire European continent. That alone makes it an unusual experience to rent a car, drive through the old parts of the city and breathe history. Cruising through the Barrio Santa Cruz, that's the name of the old town, is the absolute highlight. This alone makes booking worthwhile, regardless of whether you can rent a cabriolet at a reasonable price or make use of other offers from the rental car company. The buildings to the right and left of the streets are picturesque. In the restaurants and tapas bars, visitors can enjoy Spanish cuisine at reasonable prices. There are also special offers for lunch. The Plaza de San Francisco is one of the city's most enchanting spots, as well as the Constitution Square and other tourist attractions in the Old Town. Among the largest church buildings in the world, Sevilla's landmark and its tower, the Giralda is the largest Gothic church in the world and worth a visit. 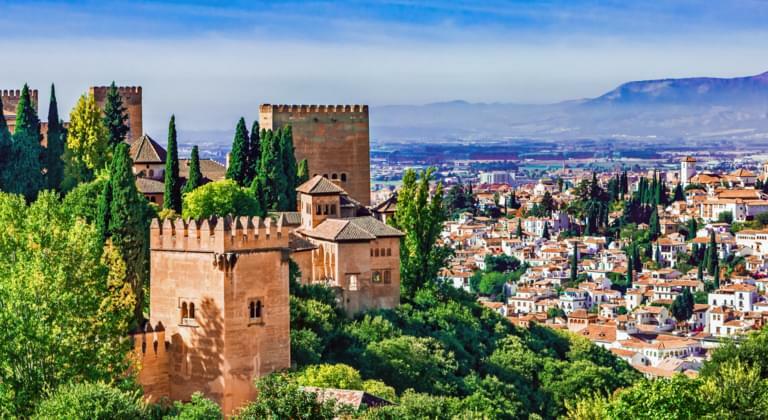 Anyone who rides through the city in a rental car and does not choose the Alcazar from the number of tourist attractions has not seen one of the most remarkable sights. The ensemble is part of the history of the Spanish kings. Because it's a city palace. Alcazar belongs to the royal family. Incidentally, the origins of this palace go back to the time of the Moors. It is worth to get out of the car and look at the old walls. Perhaps you might also meet the King of Spain by chance. Visitors of Archivo General de Indias breathe history. If you park your rental car and enter the interior of this building, you will find yourself in a museum. It tells its amazed visitors about the Spanish colonial empire. After all, Spain was a seafaring nation and a world power. This is evidenced by many other seafaring maps, slave registers and handwritten documents. From Seville you can reach wonderful destinations by rental car. The town's location in the middle of the province is ideal as a starting point for explorers travelling by rental car. The backcountry of the city stretches over the plains of the Guadalquivir to the foothills of the Batiste Cordillera and convinces with tourist attractions. Seville's location is favorable simply because it lies on the north-south connection. It was already paved in Roman times. Today it is traced by the A-66 motorway. The area is dominated by small hills with sandy areas. Sunflowers bloom on the fields. Rice and wheat are also grown here. Two gorgeous small towns between Seville and Cordoba are Carmona and Ecija. They are typical of the flair of the cities in the heart of Andalusia. With a convertible, a trip through the streets of the medieval villages is extremely impressive. If you want to visit the Seville area in summer, you should book an open rental car. Every car rental company offers convertibles. Carmona, one of the most beautiful destinations for trips by rental car starting from Seville, has been built on a hill. It is crowned by a castle. The view from above goes far into the Sierra Morena. The small baroque town of Ecija impresses with its numerous church towers. The beautiful old town invites you to leave your rental car behind and explore the village on foot. In summer, the temperatures here rise to 40 degrees Celsius. Booking a convertible for driving through the frying pan of Andalusia, as the area is also called, is cheap in the hot season. But make sure to bring sun protection. And there is another special highlight that visitors can visit with a rental car - El Rocio. The village is famous for its pilgrimage church and Madonna figure. It has been here since 1653 and attracts believers from all over the world. At Pentecost up to one million people meet at the place of pilgrimage.